Since their first publication in the 1830s and 1840s, Edgar Allan Poe's extraordinary Gothic tales have established themselves as classics of horror fiction and have also created many of the conventions which still dominate the genre of detective fiction. 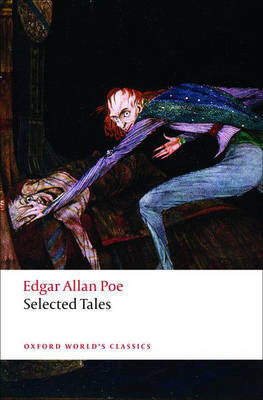 Yet, as well as being highly enjoyable, Poe's tales are works of very real intellectual exploration. Abandoning the criteria of characterization and plotting in favour of blurred boundaries between self and other, will and morality, identity and memory, Poe uses the Gothic to question the integrity of human existence. Indeed, Poe is less interested in solving puzzles or in moral retribution than in exposing the misconceptions that make things seem `mysterious' in the first place. Attentive to the historical and political dimensions of these very American tales, this new critical edition selects twenty-four tales and places the most popular - `The Fall of the House of Usher', `The Masque of the Red Death', `The Murders in the Rue Morgue; and `The Purloined Letter' - alongside less well-known travel narratives, metaphysical essays and political satires. ABOUT THE SERIES: For over 100 years Oxford World's Classics has made available the widest range of literature from around the globe. Each affordable volume reflects Oxford's commitment to scholarship, providing the most accurate text plus a wealth of other valuable features, including expert introductions by leading authorities, helpful notes to clarify the text, up-to-date bibliographies for further study, and much more.